Vacant buildings owned by the Land Reutilization Authority in the 4000 block of Evans Avenue. 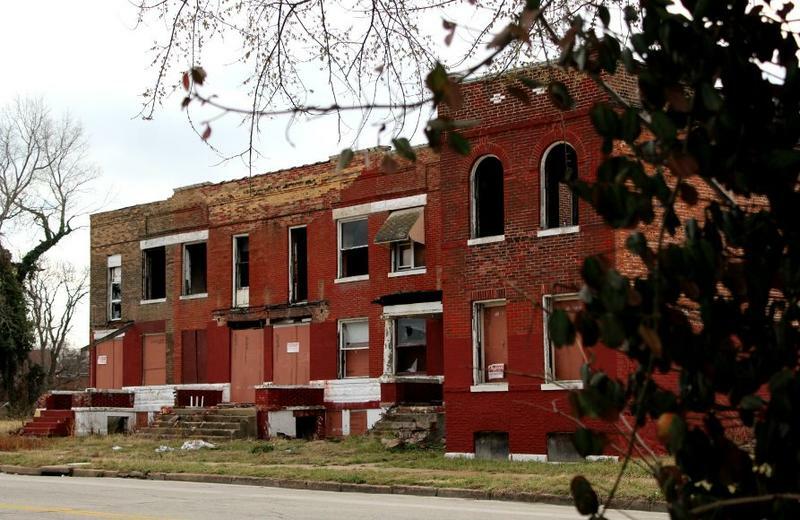 St. Louis won't receive more money to take care of city-owned vacant buildings, and won't sync its election dates with statewide elections. Proposition NS, which needed two-thirds approval, received 58.57 percent of the vote. The proposition would have given the city the ability to sell up to $40 million in bonds to go toward stabilizing the more than 3,5000 vacant buildings it owns. That money is equivalent to a one-cent property tax increase per $100 of a property’s assessed value. Supporters of the measure said it would have helped the Land Revitalization Authority take care of the vacant properties. There was no organized opposition. Proposition B, which needed 60 percent of the vote, received 52.91 percent. The measure would have moved the city’s primary elections from March to August and general elections from April to November, starting in 2020. Supporters said doing that would have saved the city money and helped with voter turnout.